When I was back in college at Rutgers University, I was studying for a degree in mechanical engineering. While I found that discipline interesting and I did well in class, I knew I wanted to do something more than just be an engineer. I became treasurer of my fraternity when I was 19 years old and suddenly I had a budget of $75,000 per semester and 80 of my peers to manage. After a year and a half, I became president and held that position for my senior year. The time spent running the fraternity was an amazing experience, much like running a business. I think that is when I knew I wanted to be an entrepreneur. Frank M. DeBenedetto Hits Amazon Best-Seller List With Easy Prey! Cyber-security expert, author, and entrepreneur Frank M. DeBenedetto recently hit two Amazon.com best-seller lists with the new book, Easy Prey! Shrewsbury, New Jersey – September 30, 2016 – Frank M. DeBenedetto has joined a select group of Cyber-security experts from around the world, to co-write the book titled, Easy Prey: How to Protect Your Business from Data Breach, Cybercrime, & Employee Fraud. The book was published by TechnologyPress and released on August 18, 2016. The term Easy Prey aptly describes those businesses exposed to the illegal, immoral and illicit industry known as Cybercrime. Unsuspecting and often unwary businesses and their personnel are often taken in as “easy prey” by cyber-gangsters. Cybercrime, which replaced cyber-vandalism, is growing quickly and more sophisticated daily. To counter the threats of cybercrime, the Celebrity Experts® in this book lead the way to secure their clients’ systems and data from vicious cyber-attacks. With added government regulations for compliance and privacy, these experts are called upon to train and protect their clients from the online bandits that frequent the Internet, as well as to meet regulatory compliance standards. The need to secure business cyber-systems and to train personnel in cyber-security has become critical. Businesses of every size can no longer assume their computer operations are safe. Professionals – like the Celebrity Experts® in this book – are called in to ensure they don’t become Easy Prey for the cybercriminals, thereby protecting them from the unimaginable social and financial consequences they can bring. After such a successful release, DeBenedetto will be recognized by The National Academy of Best-Selling Authors™, an organization that honors authors from many of the leading independent best-seller lists. 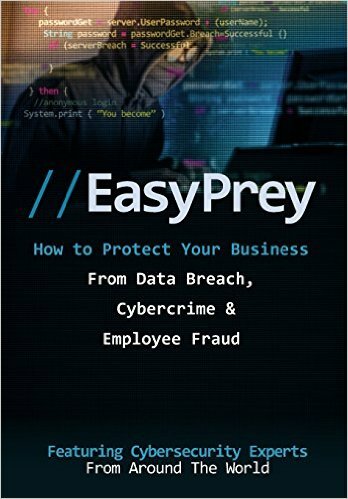 Click HERE to order a copy of Easy Prey: How to Protect Your Business from Data Breach, Cybercrime, & Employee Fraud. A portion of the royalties earned from Easy Prey will be given to St. Jude’s Children’s Research Hospital, a not-for-profit organization dedicated to advancing cures, and means of prevention, for pediatric catastrophic diseases through research and treatment. Frank M. DeBenedetto has spent the past two decades passionately helping business owners navigate the complex world of technology. His interest in technology began back in college when he had trouble finding someone to fix the computer he was using to write lab reports. After watching one of his classmates reinstall the operating system, he enamored with computers and their impact on our lives. Frank has always been determined to keep pace with modern technology and, today, that path has led him to become a highly sought after expert in the area of cloud computing. A graduate of Rutgers University, Frank holds a Bachelor of Science degree in Mechanical Engineering. While pondering graduate school, Frank began his career in the financial services industry with The Guardian. He became life and health insurance licensed and passed the Series 7, 63 and 24 securities licensing exams. Before finally shifting his educational focus towards technology, he earned two designations from the American College of Financial Services – Chartered Life Underwriter (CLU) and Chartered Financial Consultant (ChFC). After a period of selling, Frank found his niche in helping other financial services professionals utilize technology to grow their businesses. Soon after, his entrepreneurial spirit took over and he left the industry to fully concentrate his efforts on building a technology-consulting firm. 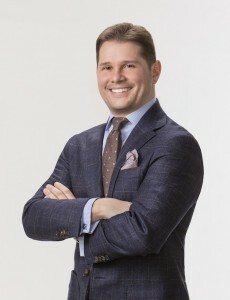 Frank M. DeBenedetto is the President and Chief Technology Advisor of Two River Technology Group, a technology solutions provider located in Shrewsbury, NJ. After many years of honing his technical skills in the enterprise, he brought his style of consulting to the small-to-midsize business marketplace. With an emphasis on managed services, managed security and hosted voice over IP (VoIP), Frank has helped grow TRTG into one of the premier cloud service providers in the area. Today, he spends the majority of his professional time on new business development. Frank has been quoted in many publications and is a regular contributor to several blogs, podcasts and newspapers. He frequently speaks at seminars and webinars on current trends in technology and he’s the author of a book that offers practical advice on technology to the small business owner. Frank enjoys spending quality time away from technology with his family and close group of friends. He is an avid Rutgers football fan and can be frequently found in Madison Square Garden at a New York Rangers hockey game. In his spare time, Frank enjoys reading Stephen King, playing the guitar, golfing and skiing. Frank currently resides in Middletown, NJ with his daughter, Evangeline.